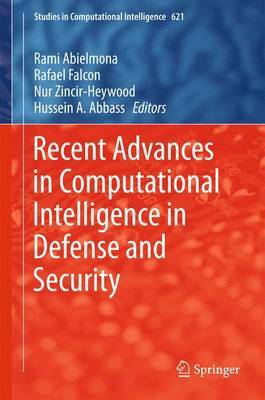 Co-edited by our very own Dr. Rami Abielmona and Dr. Rafael Falcon, Larus Technologies is proud to share the Recent Advances in Computational Intelligence in Defense and Security 1st Edition. This volume is an initiative undertaken by the IEEE Computational Intelligence Society’s Task Force on Security, Surveillance and Defense to consolidate and disseminate the role of CI techniques in the design, development and deployment of security and defense solutions. Applications range from the detection of buried explosive hazards in a battlefield to the control of unmanned underwater vehicles, the delivery of superior video analytics for protecting critical infrastructures or the development of stronger intrusion detection systems and the design of military surveillance networks. Defense scientists, industry experts, academicians and practitioners alike will all benefit from the wide spectrum of successful applications compiled in this volume. Senior undergraduate or graduate students may also discover uncharted territory for their own research endeavors.